Sweet and simple enjoyment with some fantastic performances from Dreyfus and Lipman. I love a good farce. I am not sure whether it is my inherent Britishness that makes me love some good old fashioned awkward humour, but really…I am a sucker for a good comedy mishap and I have to say Harvey was satisfyingly tickling. 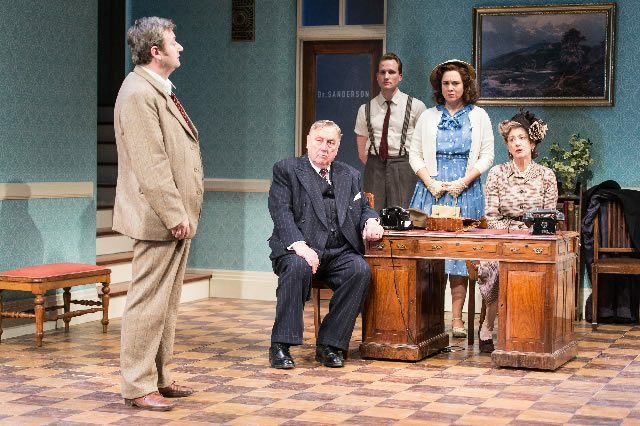 Having played in Birmingham, Malvern and Richmond prior to its arrival at the Theatre Royal Haymarket, Harvey ought to be well-practiced and by all accounts it was, allowing for the actors to really play up to their role's full potentials. James Dreyfus plays Elwood P Dowd, the happy go lucky brother of the socially superior Veta and uncle to Veta’s repressed daughter, Myrtle. Uptight Veta and the long suffering Myrtle are happy to live off the fruits of Elwood’s inheritance, so long as he steers clear of his somewhat stately home whilst they are entertaining guests. Why you may ask? Oh because Elwood may introduce them to his “imaginary” friend – a 6ft three white bunny named Harvey. 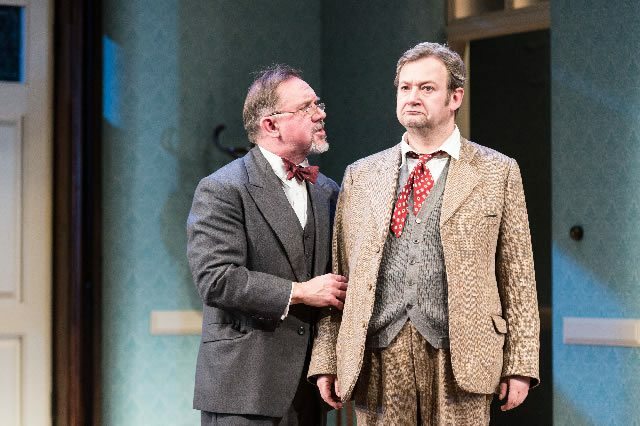 Dreyfus is sweet and unassuming as the seemingly deluded Elwood, charming both those around him on stage as well as the audience who I believe were firmly onside throughout the show. Just let him hang out with the bunny alright Veta! 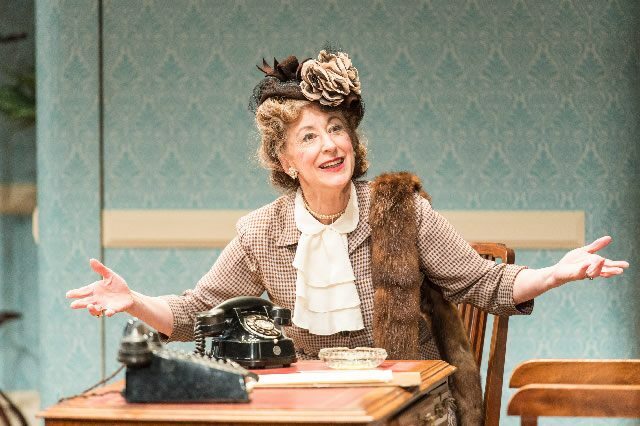 Maureen Lipman plays a fantastically contrasting Veta who beautifully juxtaposes her downright uptight and self-conscious persona with Dreyfus’ calm and easy-going demeanor. The piece worked well as an ensemble effort, with fantastic moments of comedy coming from Sally Scott as the ditzy institution nurse, Jack Hawkins as the somewhat careless Dr Sanderson, David Bamber as the overworked and delirious chief Dr Chumney and Felicity Dean as his well-meaning wife, Betty. Aside from the central relationship between Dreyfus and Lipman, I was also comically satisfied by the relationship between Myrtle, played by Ingrid Oliver, and Psychiatric assistant, Duane, played by Youssef Kerkour. In fact Wilson had some lovely comic moments which were made funnier both by his sheer bulk and his many priceless facial expressions. Like in all good farces, moments of chaos were fast paced and resulted in some deliciously riotous scenes. However on some occasions I was not too sure what was going on and what exactly led to some characters changing temperament so quickly. I am not sure whether some plot strands had been lost in the chaos or whether I needed to keep up! This production of Harvey is quite true to writer Mary Chase’s original 1940’s setting; represented on stage in Peter McKintosh’s period designs. Whilst the set was visually suggestive of the stuffy pompous social repression that poor Elwood was surrounded by, I would be interested to see a more modern and sleeker production of the show. In terms of the body of work on the West End at the moment, Harvey doesn't particularly add anything different or mind-blowing; it is just simple and enjoyable entertainment...perhaps an easygoing matinee show. All in all the production was humble and enjoyable and I was pleased by how long I was left guessing as to the true existence of the rabbit (no spoilers!) which kept me interested to the end. Rather like Dreyfus’ interpretation of Elwood, this production of Harvey is simple, sweet, fun and entertaining.